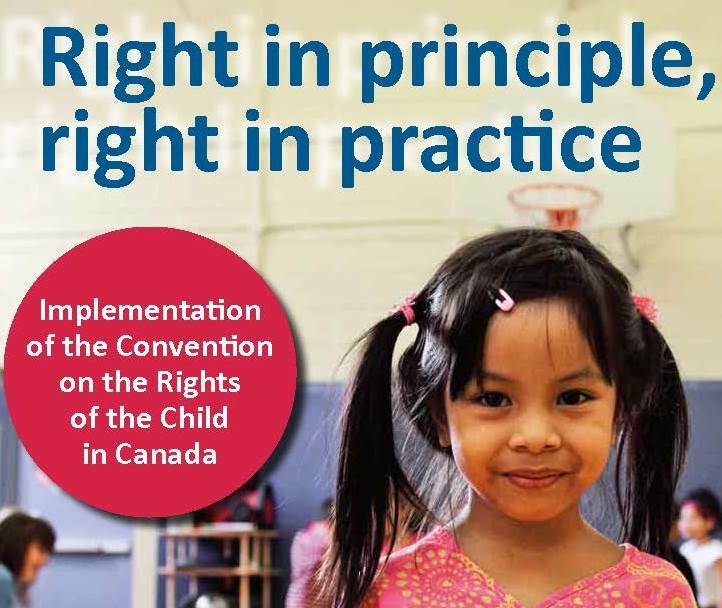 Canada’s 5th-6th report on implementation of the Convention on the Rights of the Child in Canada is now filed with the UN Committee on the Rights of the Child. Copies of the report and annexes are available here for your reference. The report shows some progress since the last review. Missing is information on outcomes for children. Missing is substantive analysis for a well-informed public discussion of what we need to do in Canada to realize the rights of children. Many responses to previous recommendations are half-answers. Positive steps in one province are reported, for example, but there is no reporting on the situation of children in all the other provinces. Missing in any analysis of serious issues and gaps in realizing the rights of children in Canada. Children are not well-served by this report. This report comes on the 30th Anniversary of the Convention on the Rights of the Child. One benefit of the Convention is putting children at the center and considering all rights. This report does not do that. Public discussion of the report in Canada is essential before the official review that will be done by the UN Committee on the Rights of the Child sometime in 2020. The CCRC and its members will analyze the report in detail, fill in gaps, and seek to foster the kind of public discussion that Canada’s children deserve.